Habib Sons Books & Stationers is a retailer of academic and general books. 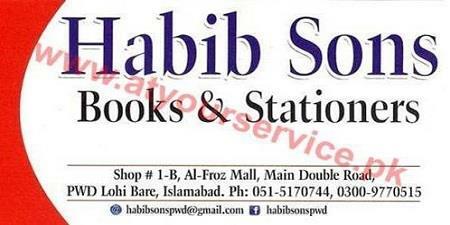 Habib Sons Books & Stationers is located in Al Feroz Mall, PWD, Islamabad. It is a retailer of academic and general books. It also sells complementary products and a large variety of stationery and gift items.